EXTRAORDINARY OPPORTUNITY FRONTING SKIABLE LAKE SAWYER OF WINDERMERE - All of the pleasures of lakeside living without the boat traffic of the Chain. 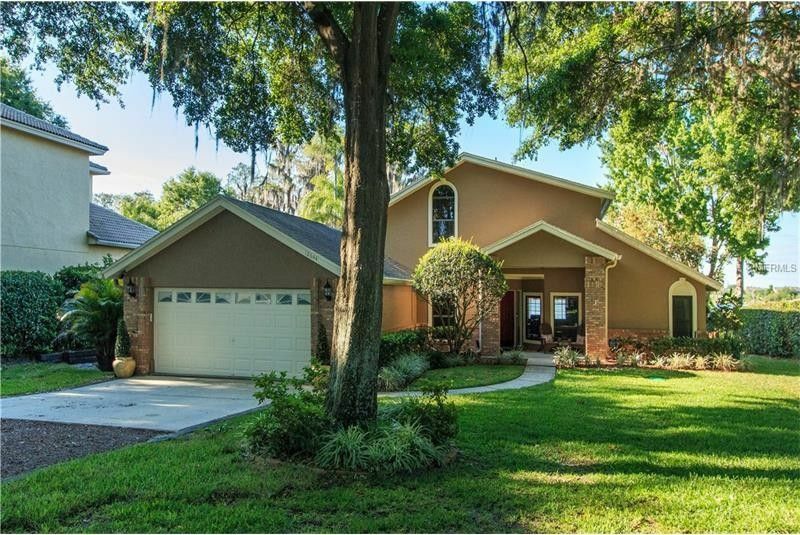 Fantastic location in this unique 4 bedroom / 3 bath home with flex room. Over 1.3 acres with mature oak trees in the front, sandy white beach along the lake, a covered boat dock with hoist/lift, spectacular sunset views & an unobstructed view of nightly fireworks compliments of Disney. This home is zoned for several school options & is within a quarter mile of one of the most internationally acclaimed coeducational PK-12 schools known globally. Located on a quiet oak lined street, this lofty & airy contemporary is freshly painted inside & out with newer appliances & brand new carpet downstairs, and hardwood flooring throughout the family room. Amazing open view sun room facing the lake is perfect for entertaining. The kitchen is the heartbeat of this home directly in the center. Formal living or dining room with wood burning fireplace upon entry to the home. 2 bedrooms downstairs with shared bathroom, and a 3rd downstairs bedroom with en suite bath-perfect for guests or as a "mother-in-law" suite. Indoor laundry suite upon entry from the large two-car garage. Master takes the entire upstairs with water views & balcony, jetted tub, & boudoir. Complete new & upgraded septic system, drain field & new well pump in 2016. The home is offered with an approved county variance for a pool & has the infrastructure needed to expand if desired. HOME WARRANTY!